Who does not want to stay fit in their lives? I think you will not find this kind of people around you. If you want to stay fit, you have to follow a healthy diet routine. 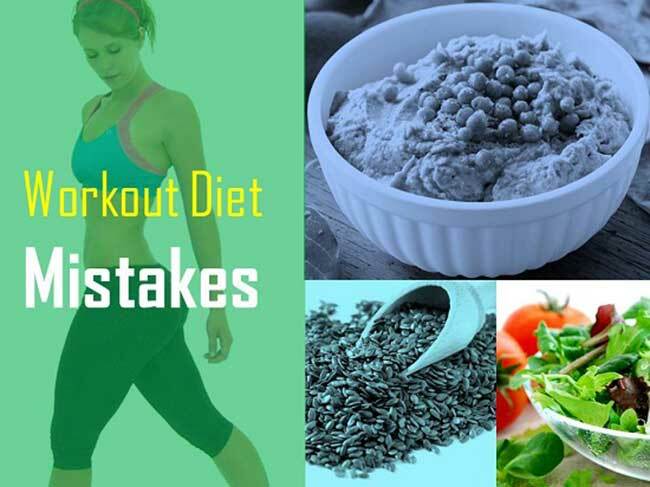 Besides, try not to do any kind of pre-workout diet mistakes. That means, try not to take some foods during your workout session. A few diets may be healthy and even may be perfect for losing weight but they will not work well in your workout session. You should stop eating these 7 foods before workout session (as a minimum of 2 hours before). We all of us know that salad is ultimately a healthy food, however, it is not true in a circumstance (before a workout session). We generally eat salads with more creamy dressing, croutons, and vegetables. Even if your salad is filled with vegetables, it could be unsafe to eat before a workout session. High-fiber diets (fruits and vegetables) normally slows down your digestion process, which ultimately occurs to gas and breathlessness during a workout session. Hummus is a very healthy diet for the human body. You may make hummus on your own by using a small quantity of oil. But it won’t be good if you take it before a workout session. Because hummus has a high volume of chickpeas. Beans have plenty of indigestible carbohydrates those are responsible for making gas and breathless during a workout session. Moreover, stop eating hummus that contains high-sodium or raw vegetables before a workout session. Definitely, I am not joking with you. Flaxseeds are outstanding as they have a large amount of fiber. But if you take flaxseeds before a workout session they will occur gas and breathlessness. Simply, it is important to decrease the fiber eating at least 2 hours before and after a workout session. Besides, you should stop taking high-fiber bread or any kind of fiber supplements. Choose proteins and carbohydrates in its place. A few protein bars have a high volume of calories and but don’t have enough metabolism increasing protein. If you take a protein bar that contains less than ten grams of protein, it will fall your blood sugar level and then you will feel exhausted during exercise. If you want to be active, take a bar that contains 1:1 protein and sugar ratio. Dairy products are tasty, enjoyable and delicious, however, it can make you be lazy. So, you should not eat or drink any kind of dairy products 2 hours before a workout session. For the reason that it will make you feel lazy, acidic, and even may feel great belching. Nearly every juice hold a high volume of organic sugars and also have less fiber that will absorb energy fast. It is needless to say that orange juice has vitamin C and other vital nutrients, however, it will lose your energy instantly and also will drop your blood sugar level after a workout session. Even fresh orange juice will make you exhausted while you continuing your 2nd mile of running. Eat an apple before starting your workout session. It is a very good selection; believe me. You should not eat Fatty foods before a workout session, for example, hamburgers, cheesecake etc. Even you have to avoid healthy fats like nuts and avocados because they have high fiber contents and have a possibility of being gassiness.